Oh thank you thank you dear Rosebud! I started out not expecting anyone to read my blabs but it's nice to know there are visitors coming in occasionally to peek. Please visit Rosebud's blog 'The Mum and the Rose'. Yay! This award will prompt me to continue blogging my many off-topics lol. 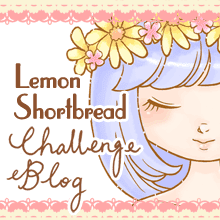 If you are currently stalking and have a blog, don't feel shy just leave me a comment for a link exchange! Wowy, Zowy!!! 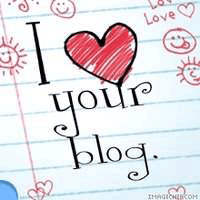 Thanks a ton for "Lovin' My blog". I love yours right back! So happy you are happy..That is what it is all about..sharing..I enjoyed your blog and thought it was a happy read..Thank you for the lovely comments.. 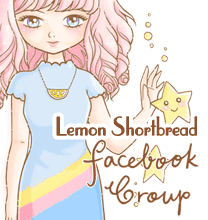 Thank you Lemon Shortbread! I'm so glad you like reading my blog, i'm not very regular I know... congratulations on winning the award, your blog really does deserve it, I love reading and looking at the lovely pictures, and listening to "I Could Be Happy", please don't take it off! Thank you so much for choosing me too, it means alot :). I love your blog and would have also have choosen you. I love your blog too, congrats on the award! Thank you so much for nominating my blog! emm. really like this .